Though more women are making it to the higher rungs of the corporate ladder, only recently are companies recognising the benefits these appointments bring. For the first time, figures are available that can quantify the extent women contribute. Globally, women are responsible for over $20bn in spending, and that is likely to rise to $28bn by the end of the year. Deloitte has revealed research suggesting women’s earning power is growing faster than men’s in countries with emerging economies, where women’s incomes increased by 8.1 percent, compared to 5.8 percent for men. “The evidence is clear, as is the message: when women do better companies do better,” said Christine Lagarde in a speech about inclusive growth at Davos this year. Though the message was clear and credible, coming from the head of the IMF herself, it still took some by surprise. But revolution has been afoot for some time, as companies make investing in women central to their business strategies. 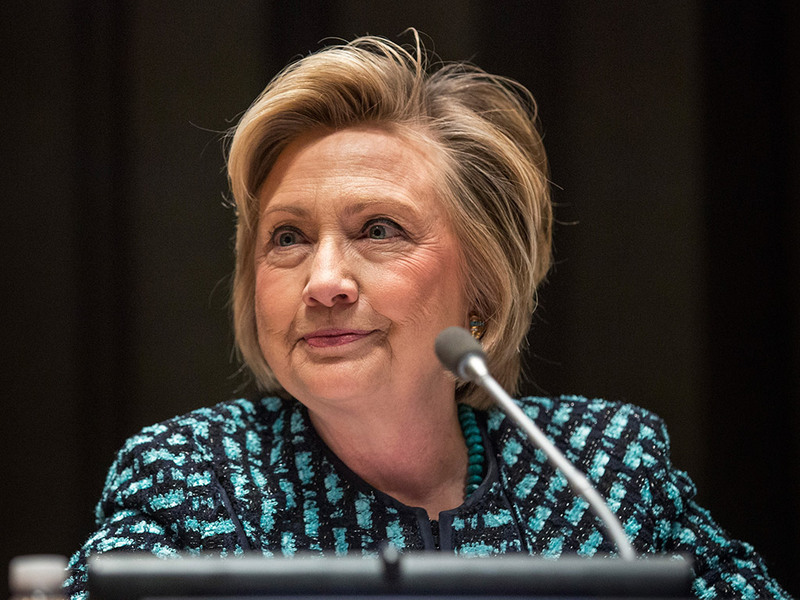 “To achieve the economic expansion we all seek, we need to unlock a vital source of growth that can power our economies in the decades to come,” said Hillary Clinton, in the 2011 Asia-Pacific Economic Cooperation Meeting. “By increasing women’s participation in the economy and enhancing their efficiency and productivity we can have a dramatic impact on the competitiveness and growth of our economies.” Figures from the World Economic Forum suggest that women with an income typically reinvest 90 percent into their families and their communities; women offer a higher return of investment for companies that hire them. “The truth is that women are already the most dynamic and fastest-growing economic force in the world today,” said Muhtar Kent, CEO of Coca-Cola. But when it comes to start-ups and new companies, the focus remains largely on men. And that is especially true when it comes to the technology sector. A recent survey by Reuters suggested that of the top 10 venture-backed start-ups, six do not have a single woman on their board, even as larger and more established companies have at least one or two women in such a position. There is an emerging trend with companies like Goldman Sachs and ExxonMobil using sponsoring, mentoring and training programmes to boost the number of female entrepreneurs. Goldman Sachs’ 10,000 Women initiative has already offered training courses to 7,000 women globally, and Exxon’s Women’s Economic Opportunity Initiative supports women’s businesses by promoting networks. Though these are mostly philanthropic organisations, there are very real rewards for companies. The World Bank refers to these as ‘double dividends’, as the amounts female entrepreneurs invest in communities drives up GDPs. But female entrepreneurs still face significant challenges. “When you are not the norm, you have to battle to be accepted as the norm, and so we know it’s harder to get funding as a woman,” explains Lane Fox. “I don’t really believe that’s because there’s this overt sexism anywhere, it’s just a cultural thing.” Companies must stop regarding the appointment of women executives or financing of women-led businesses as acts of philanthropy, and start seeing them as equal partners in a drive for inclusive growth. It is a fact that women are still playing catch-up when it comes to integrating the market. Companies and entrepreneurs need to aggressively bring in businesses run and founded by women. “By seeking out and working with women-owned firms, companies can not only diversify their supply chains and mitigate risk, but also support women entrepreneurs and expand small and medium-size enterprises, which are known engines of GDP growth,” argues Kim Azzarelli, President of Women in the World Foundation, and Melanne Verveer, US Ambassador for global women’s issues, in an op-ed in The Daily Beast. There is no one solution. The ascent of women in the business world must be a slow, determined and collective effort. Perhaps Lane Fox says it best: “It’s all about more role models, about more cultural change in finance, more cultural change in the corporate sector generally, there’s more women needed in the boardroom, there’s more women needed at executive director level, we need more female voices in the media, we need more female voices being represented across the entire spectrum.” But a change is due, and it will come.